The most valuable lesson to take away from the collapse of the Doha talks on freezing oil output levels is to focus on reforming the industry in each country to meet future challenges, US State Department Special Envoy and Coordinator for International Energy Affairs Amos Hochstein told Sputnik. WASHINGTON (Sputnik) — In April, negotiators from the world's major oil-producing countries, including both Organization of the Petroleum Exporting Countries (OPEC) members and non-cartel producers, failed to reach an agreement on freezing production levels in talks in Doha, Qatar. "The failure of the Doha talks was clearly not a surprise. But I think the best lesson to learn from the failure of the talks is to focus on reform in the industry in each country, and to meet the global challenges of the future," Hochstein said. Hochstein’s comments come ahead of the June 2 OPEC meeting in Vienna where the participants are expected to continue negotiations on oil production freeze to stem the fall in oil prices. OPEC should also refrain from trying to artificially manage the energy market, according to the envoy. "I don’t think OPEC should be focusing its efforts on trying to artificially manage and control the market," Hochstein told Sputnik. "I think we have to recognize that we had a glut in oil markets, demand has to rise, and if companies would operate based on supply and demand, it [market] would fix itself." 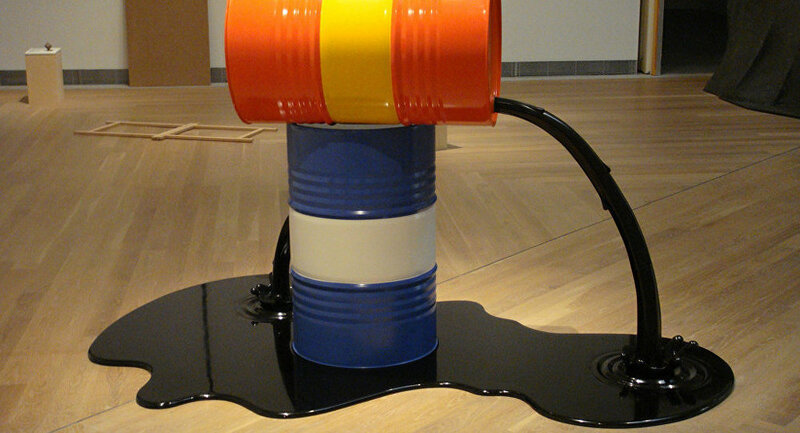 The US energy envoy told Sputnik in February that governments should not interfere and decide artificially how much oil should be produced and how much should be exported. He explained that a global oil market was going through a transformative period when the swing producing capacity was the market itself with decisions made by multiple companies, and not by governments, cartels or single companies. "I think that’s an important element that we should learn. The sooner the international community recognizes that we are in a new energy era, the better, and the more they’ll realize that backroom deals between OPEC and non-OPEC producers will not help," Hochstein said. Oil producing nations should invest more in natural gas and renewable energy as part of the industry reforms needed to meet future challenges. "Oil producing countries should invest more in natural gas and in renewables in order to be able to export more and burn less at home. And we should have a more open and transparent oil sector, and that will be more helpful than trying to get an artificial deal," the envoy told Sputnik. The Middle Eastern states acknowledge the need to identify ways to manage their own energy sectors more efficiently. Hochstein traveled to Kuwait, Qatar, Egypt and Israel following the failed Doha talks on oil production freeze in mid-April. "We had good meetings in Kuwait, and in Qatar, in Doha," Hochstein said. "I think that the region recognizes that it now has to look internally to see how do they better manage their own oil sector, their own natural gas sector to meet the challenges of the future. And I think that’s a good development." He also noted that the upcoming June meeting of the Organization of the Petroleum Exporting Countries (OPEC) in Vienna will not affect the US energy industry. "I don’t think any meetings in OPEC are going to have an effect on American oil industry, and gas industry for the simple reason that the advantage of the United States is that it operates based on market conditions, and supply and demand," Hochstein told Sputnik. "They will continue to operate that way. So, I don’t think it will have a great impact on US domestic issues." Oil prices have plunged more than 60 percent from their peak of $110 a barrel in June 2014 amid fears that the global oil production was outpacing the world’s demand.